Refugees are being well integrated into Germany's jobs market, the country's employment agency has said. New figures show that in May 2018, more than 300,000 refugees were employed in Germany. Refugees are being well integrated into Germany's jobs market, the country's employment agency has said. 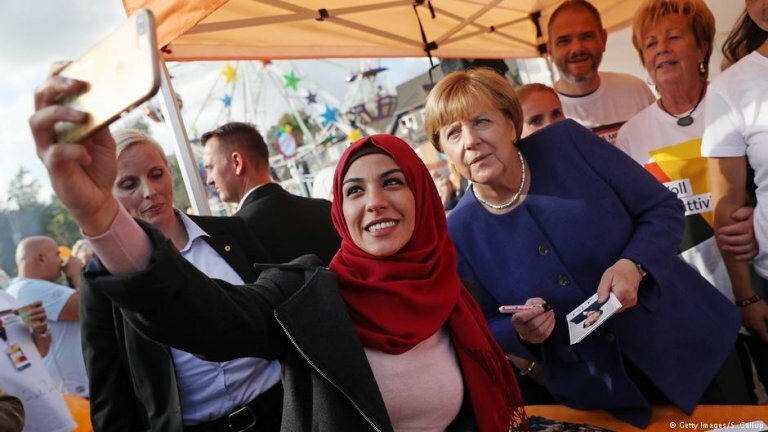 According to the German Federal Employment Agency, more than 300,000 refugees from eight different countries of origin — Pakistan, Nigeria, Iran, Eritrea, Afghanistan, Iraq, Somalia and Syria — were in employment in Germany in May of this year. That represents an increase of around 50 percent on last year's figures, with more than 100,000 more refugees in employment than this time one year ago. "It's all going rather well," Detlef Scheele, the chairman of the agency's board, told the German news agency DPA. 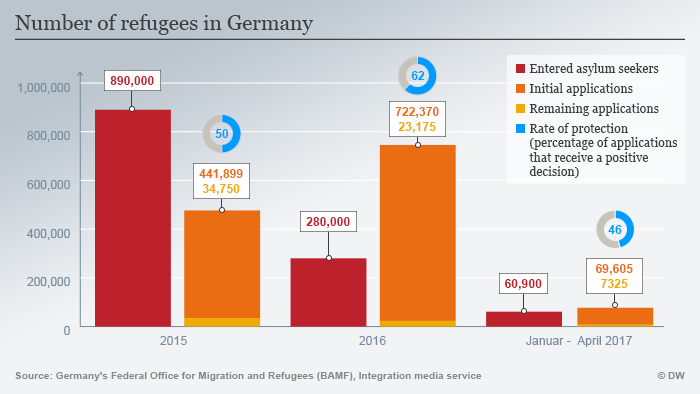 During the height of the refugee crisis in 2015 and 2016, Germany took in more than 1 million refugees. While the integration of such a large number has created many challenges for Germany — and transformed the country's political landscape — according to the latest figures, the employment picture is improving. "These are numbers that are good, given that the people are coming for humanitarian reasons, not to find a job here," Scheele said. According to figures for July, there are still 482,000 refugees registered officially with the Federal Employment Agency as job-seekers, with that figure including many who are taking part in language and integration courses. Around 187,000 refugees were registered as unemployed in July, a number that has remained steady for quite some time.